"As a moderately experienced user of SAP Lumira Desktop, I am knowledgeable in the utility and functionality that it provides. It is ideal for manipulating, editing, and formatting data to create visualizations and share them throughout an organization. Its user-friendly interface enables users to easily compose engaging documents from multiple data sources that don’t need to be 100% clean. From my experience, implementing SAP Lumira at an enterprise level is most successful when the sharing of visualizations is managed effectively. Enter SAP Lumira Edge. 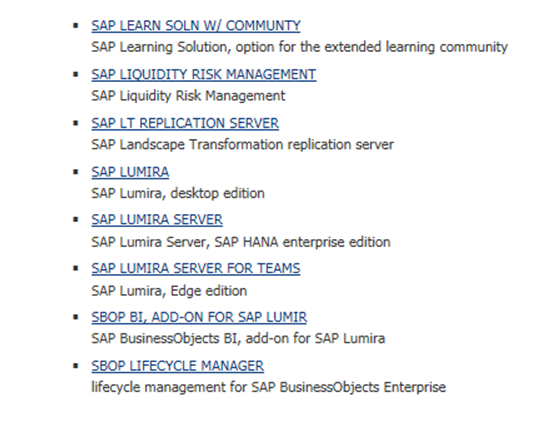 SAP Lumira Desktop has several options for enterprise integration, including Lumira Cloud, SAP BI and Lumira Server on HANA. However, SAP Lumira Edge is a streamlined, light-weight, and cost-effective option that may be the best solution for an organization. SAP has stated that Lumira Edge is very easy to install and use, so I have taken it upon myself to perform a test install of the product and document my findings. Since I did not have a physical test environment available to use, I chose to install SAP Lumira Edge on a local virtual machine. The virtual machine is a Windows Server 2008 R2 SP1 with 4 GB of RAM, 2 CPU’s, and 14 GB free Disk Space, meeting the “Evaluation Purposes” hardware requirements from the SAP Lumira Edge Installation Guide. (For reference, the “Production Ready” hardware requirements from the Installation Guide are 8+ GB RAM, 4 CPU, and 4 GB of Disk Space.) With my environment ready, the first step was to download the installation file from the SAP Service Marketplace. The file can be found by navigating to the “SAP Lumira Server For Teams” node (this is the new nomenclature for SAP Lumira Edge). The installation process for SAP Lumira Edge was similar to that of other BusinessObjects products I’ve installed in the past. The installation ZIP file must be downloaded from the Service Marketplace and the setup.exe file must be run locally. The setup.exe file was easy to find, in the “LumiraTeamServer” subfolder. To download full PDF and to Continue Reading…"